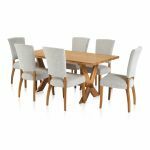 The Crossley dining set perfectly combines farmhouse style and modern details, for a look that suits all types of home decor schemes! 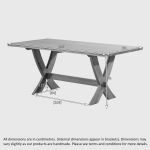 The table features gently arcing crossed legs, supported by a striking brace with mortise and tenon joint for a unique look. 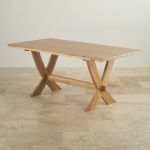 Made from 100% solid oak in our natural finish, it showcases the beautiful colours and patterns of the timbers. 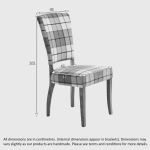 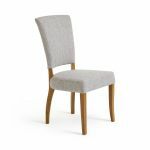 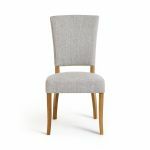 We've paired the table with 6 of our light and airy Upholstered Curve Back Chairs finished with a gorgeous plain grey fabric upholstery for a stylish and clean design. 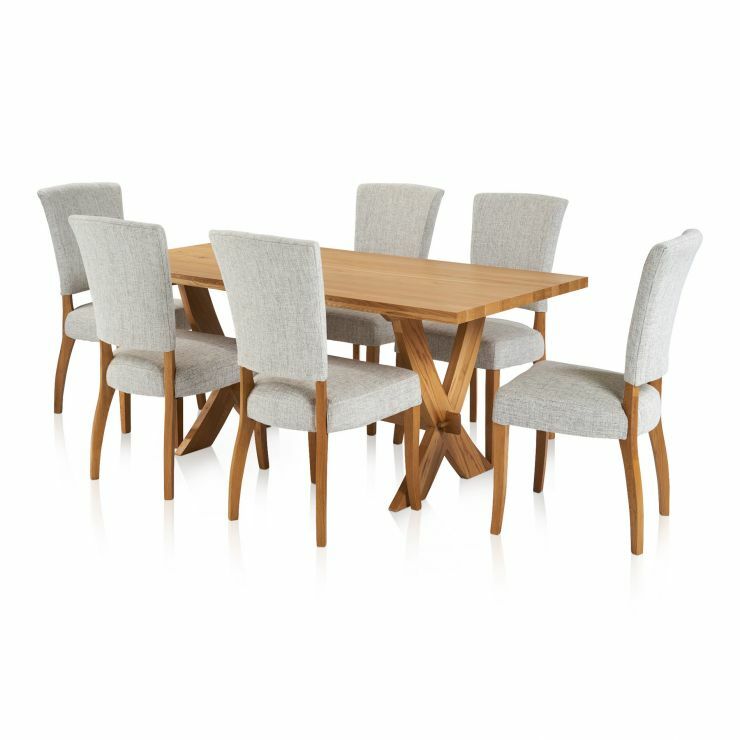 Don't forget to browse more of our striking and high-quality dining room furniture today!